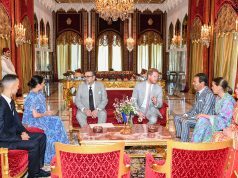 Today, King Mohammed VI reportedly received Britain’s duke and duchess of Sussex at the Royal Palace in Rabat. 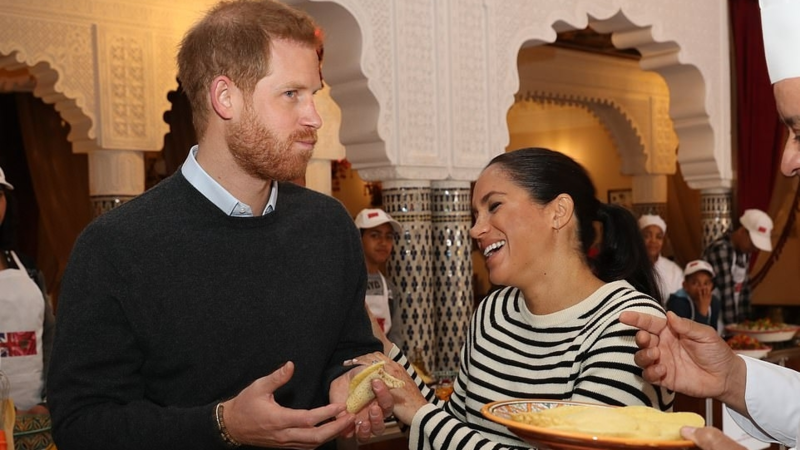 Harry and Meghan trying Baghrir (Moroccan crepes) at the Villa of Ambassadors in Rabat. 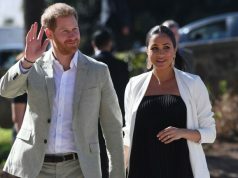 Photo: Reuters. 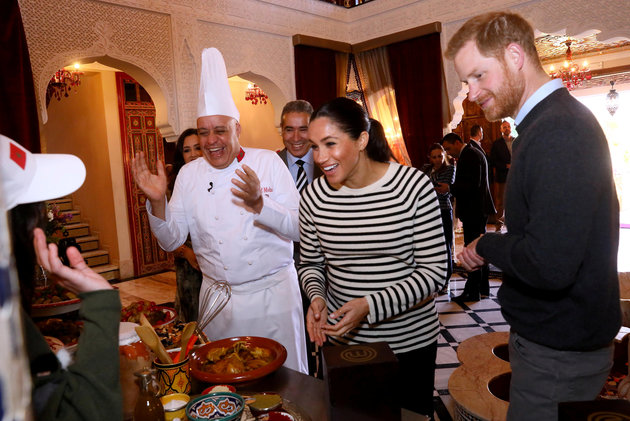 Rabat – Prince Harry and Duchess Meghan’s eventful tour in Morocco is coming to an end today, and the royal couple is making the most of it, trying all kinds of tasty Moroccan dishes. 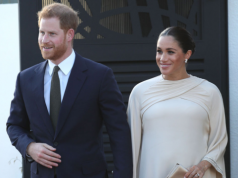 At the Villa of Ambassadors in Rabat, the duke and duchess of Sussex were again welcomed with dates and milk just as whenst time they landed in the country on Saturday, the first day of their royal tour. 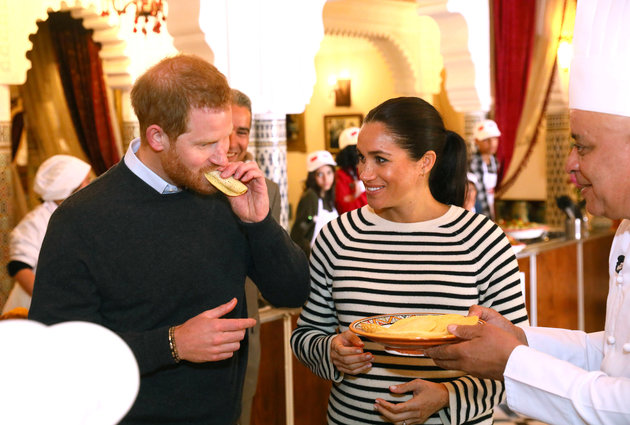 Harry and Meghan tried Moroccan foods like couscous; harira soup; baghrir, Moroccan crepes; briouates, a sweet/savory puff pastry; and b’stilla, also known as pastilla, a Moroccan savory pie. 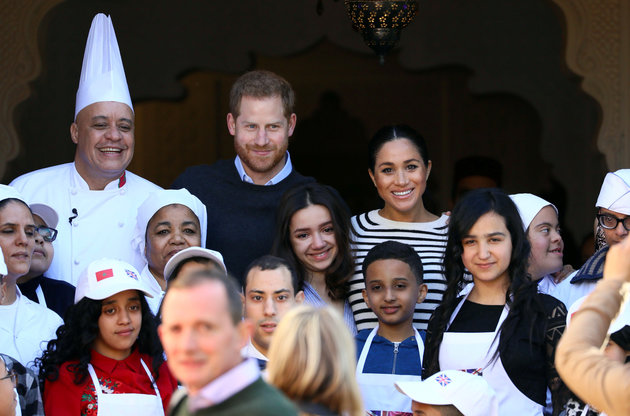 Judging by their content expressions, Harry and Meghan seemed to take a liking to the various dishes they were offered during a presentation about Moroccan cuisine by the renowned Moroccan chef Moha Fadel, famously known as Chef Moha, surrounded by children from regional associations. 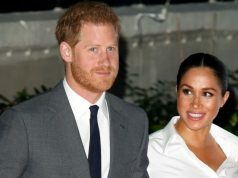 The couple had a good time throughout their various activities. 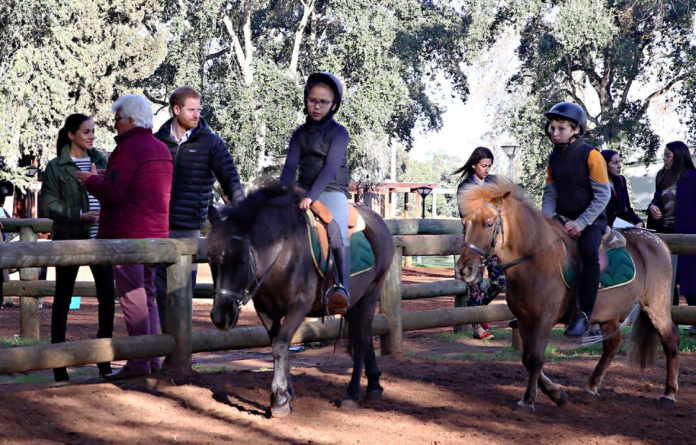 Their visit to the Villa of Ambassadors followed a visit to the Royal Golf Dar Essalam in Rabat where they had a chance to learn about horse therapy in the country. 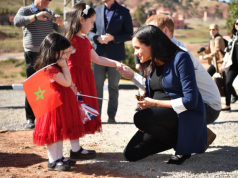 Harry and Meghan at the Royal Golf Dar Essalam in Rabat. 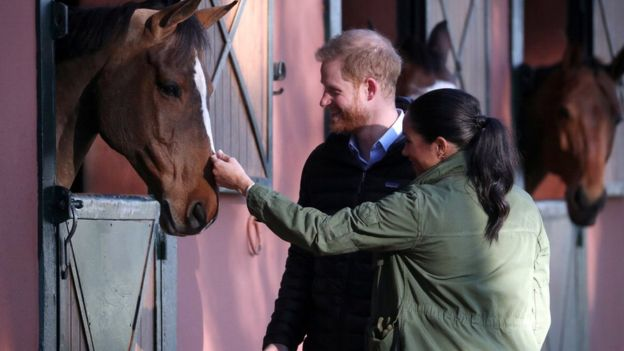 Photo: Reuters. 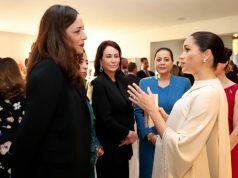 The royals are also scheduled to visit the Andalusian Gardens in Rabat this afternoon to explore Moroccan arts and crafts exhibitions surrounded by greenery.